Garden Learning: Blogs: Dead or Alive? 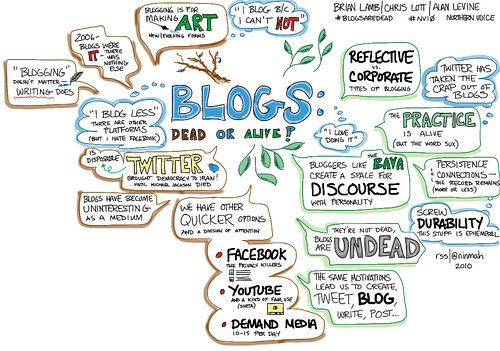 Blogs: Dead or Alive?, originally uploaded by Rachel Smith. This graphic pleases me in every way. It makes me want an IPad, and Autodesk Sketchbook Pro! Thanks to the person who took these awesome notes and inspiring me to think visually. I don't keep notebooks but I do keep sketchbooks, imagine it!